You asked for it and here it is – a Christmas gift guide for teachers and carers! 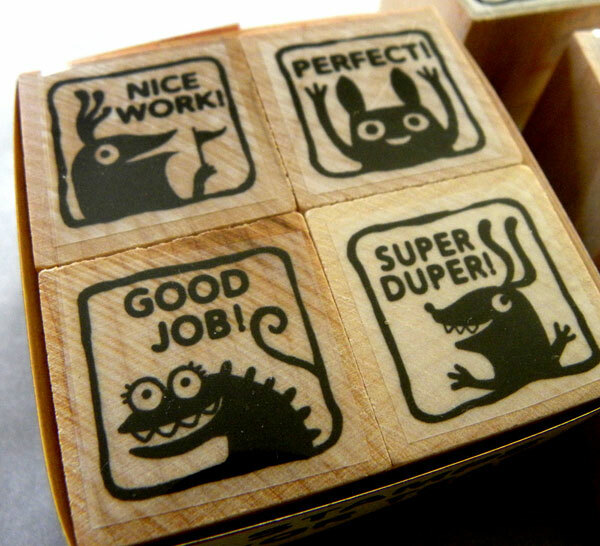 Monster Rubber Stamps are a gift that keeps on giving throughout the year, first to your child’s teacher then to their students as they mark their work. Available in a set of four for US$15 or separately for US$4 from Fishcakes Design. These stamps are already mounted and ready to go, just don’t forget to include a stamp pad! It’s always nice to give a slightly unusual gift and of course it’s an added bonus if you know they will use it, which makes this sublime Nest Sparrow a perfect give for a stationary junkie. 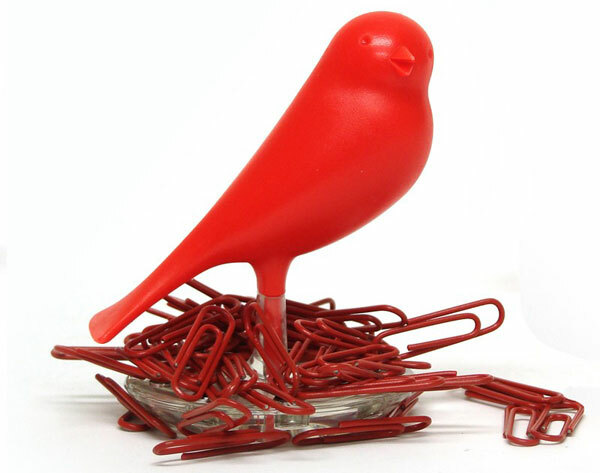 A cute red bird to keep paper clips under control and something a little special for the teacher’s desk – available from Papier d’Amour for $15. A lot of teachers and carers bring their lunch from home so how about some cute and completely practical reusable lunch and snack bags? LunchSkins are lightweight, made from food safe cotton and have a secure Velcro closure. Snack bags are priced $12.95, sandwich bags $14.95 or you can buy a Duo Kit containing a snack and lunch bag for $20. All available from LunchSkins Australia which offers free post! Everyone should have their own set of personalised stationery at least once and we love this set from Etsy’s Sweet Bella Stationery. 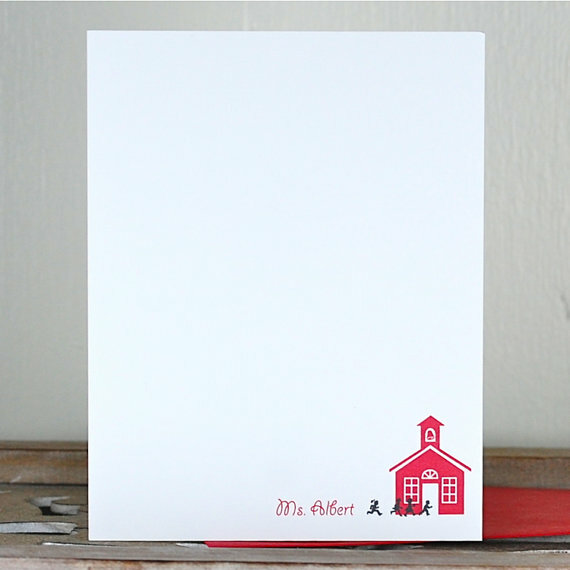 A set of ten Schoolhouse notecards and envelopes with your child’s teacher’s name printed on them would make for a dear gift indeed. Get yours for only US$16.50 from Sweet Bella Stationery. We all know the importance of being organised so I’m personally loving this uber cute 2013 Hello Sunshine weekly diary priced $19.95 from Kikki K.
Your child’s teacher will be the envy of the staff room with a swanky KeepCup. Not only will their coffee cup stand out in the staff kitchen, it’s also fantastic for on-the-go drinking during yard duty. 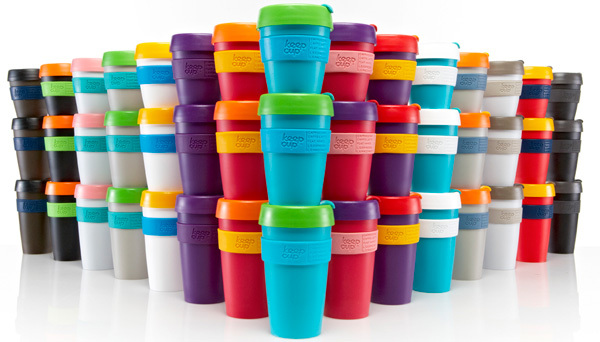 Choose from a bounty of mix and match colour combinations and four sizes – extra small (120ml $10), small (227ml $12), medium (340ml $14) and large (454ml $16). Hand creams and bath gels are always going to be a popular appreciation gift, so be sure to give a lush one (as opposed to a nanna one)! Cranberry Joy or Ginger Sparkle hand creams are deliciously scented and available from The Body Shop at a great price of $9.95 each. Quirky and cool are these Fruity Memos. 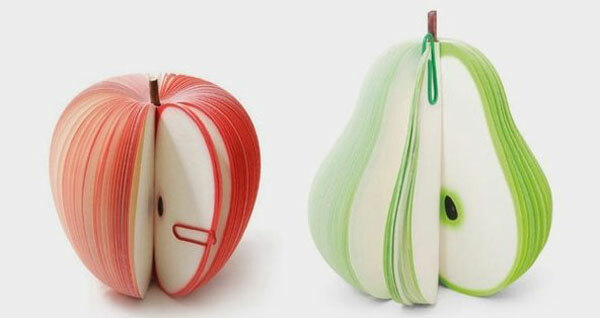 Available in pear or apple and priced a healthy $6.95 each from Collection Of Cool. If you have many carers to buy for it’s time to get creative – I love these DIY pots that blog Eighteen25 has provided a neat tutorial for – you can pop an easy-to-care-for succulent plant in there. Alternatively, here from Modern Parents Messy Kids is a fabulous dip-dyed pencil tutorial if you’d rather turn your painted pot into a pencil holder! Let us know what your go-to gift is for teachers and carers!